Remember April of 2016? It was a more innocent time. Ted Cruz and John Kasich were still trying to be president, refugees weren’t yet fleeing the US for Canada, and the bottom hadn’t completely fallen out for the now-disgraced blood testing company Theranos. But that last one was just on the horizon. And since Theranos was trying to gain military clients I filed a FOIA request with the Air Force at the time to see what they knew about it. Theranos promised to make blood tests simple and easy. But investigations by the Wall Street Journal had exposed that they didn’t quite work out the way they were supposed to. In fact, they didn’t work at all. So I filed a FOIA request with a few branches of the military in April of 2016, just as federal prosecutors were starting to really dig into the company, to learn what, if anything, the Air Force knew about Theranos. I just received documents today, explaining that the Air Force never independently pursued contracts with Theranos. But members of the Pentagon’s Joint Combat Casualty Research Team definitely looked into it. Why look at the military and its potential contracts with Theranos? The Silicon Valley company got a lot of hype for signing contracts with civilian consumer companies like Walgreens (those contracts have since been cancelled and Walgreens is pursuing legal action), but Theranos always had a bizarre connection with the US military. Behind the scenes, Theranos was trying to get its tests in on the action. 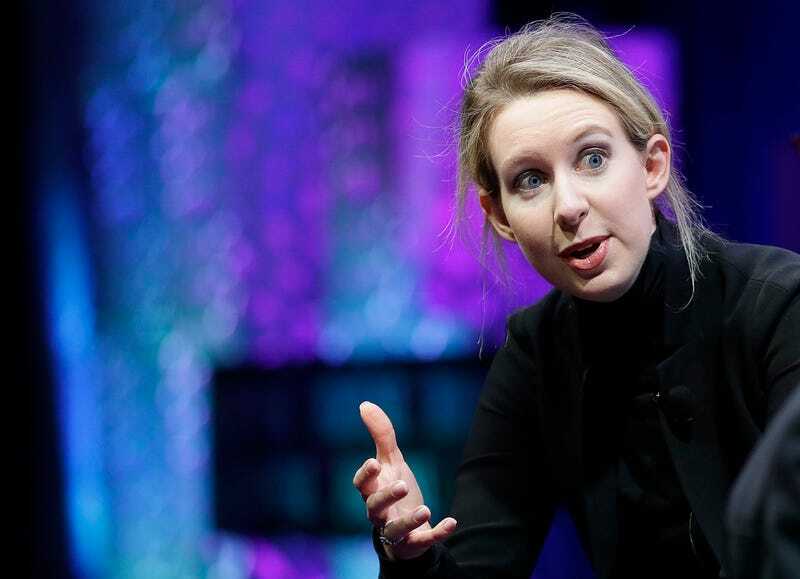 How bizarre was this relationship between Theranos and the US military? General James “Mad Dog” Mattis, Trump’s current Secretary of Defense, was actively pushing for Theranos tests to be used in the field while he was serving in the US Marines. Mattis reportedly did so in 2012 and 2013, long before the FDA had given anything close to approval for the tests. Mattis left the military in 2013 and joined the board of directors at Theranos, raising quite a few eyebrows. And despite the stonewalling that I’ve received on FOIA requests from the Marines thus far, I just received a response from the Air Force, a full 10 months after I sent the request. The long and the short of it? The Air Force never sought contracts with Theranos for the company’s blood testing technology, though CENTCOM certainly did explore the possibility. The Air Force Surgeon General’s Office appears to believe that any documents that may be of interest would be held by the Defense Health Agency (DHA) and the Army. The [Air Force] has not performed any investigative inquiry into the company Theranos or their products, nor do we have access to any inquiry documents that may have been produced by the FDA, DHA, or other governmental agencies. We believe there have been 16 or 17 Joint Combat Casualty Research Team deployments which contained AF members/assets which did review the possibility of utilizing Theranos and/or their products, however, these teams were Central Command (CENTCOM) assets rather than an AF initiative. AF/SG does not have access to any documents that may have been produced by these teams. Finally, we are aware of the existence of an electronic document authored/signed by CAPT Wilkerson (DHA) and a white paper authored/signed by LTC Paul Mann (Army) which discuss Theranos in some capacity, however, we do not have copies of those documents on hand. So there you have it. It took 10 months, which is a bit long for such scant information, but at least it’s something. Now I’m off to file more requests with DHA and Army. I guess look for an update in another year or so.